On Thursday, June 21, from 6 to 8 p.m. at North Mountain Park Nature Center, 620 N Mountain Ave, the public is invited to hear a draft report about a proposed extension of the Bear Creek Greenway. The presentation will be led by Alta Planning + Design, Inc.'s Senior Designer, Christo Brehm, in conjunction with APRC and the Bear Creek Greenway Foundation. 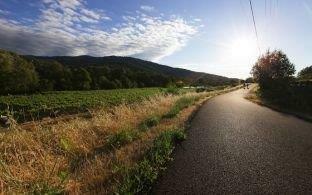 It is intended for anyone interested in the Bear Creek Greenway, property owners along Bear Creek between the Ashland Dog Park and North Mountain Park or those involved with planning and development within Ashland and the surrounding region. For information on APRC visit AshlandParksandRec.org or call 541.488.5340.